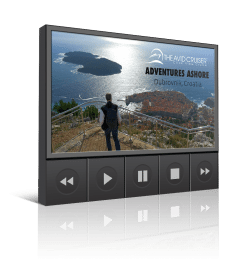 Silversea offered a wide selection of shore excursions in Kusadasi. We talked to one couple who went tandem sky-diving (their first time), a shore excursion offered on Silver Spirit. Others visited Ephesus and the Home of the Virgin Mary in the morning, and some even returned for the evening concert. Golf excursions were offered as were wine tasting excursions. We chose to visit Ephesus in the evening for several reasons: 1) With temperatures in the 90s, we figured we could avoid touring Ephesus during the hottest parts of the day; 2) There would be no crowds, as Ephesus was open only to our group from Silver Spirit; and 3) We would get to experience Ephesus at sunset, something few people in life ever experience. When our tour concluded, we were happy with our choices. It was an evening that we’ll never forget. 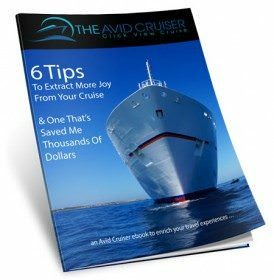 Here’s how the special event unfolded: After an early dinner on Silver Spirit, we boarded a motorcoach for the 20-minute drive from the port to Ephesus. For those of you who may not be familiar with the ancient city, here’s a thumbnail sketch: In ancient times, Ephesus hosted St. Paul, St. John and the Virgin Mary. 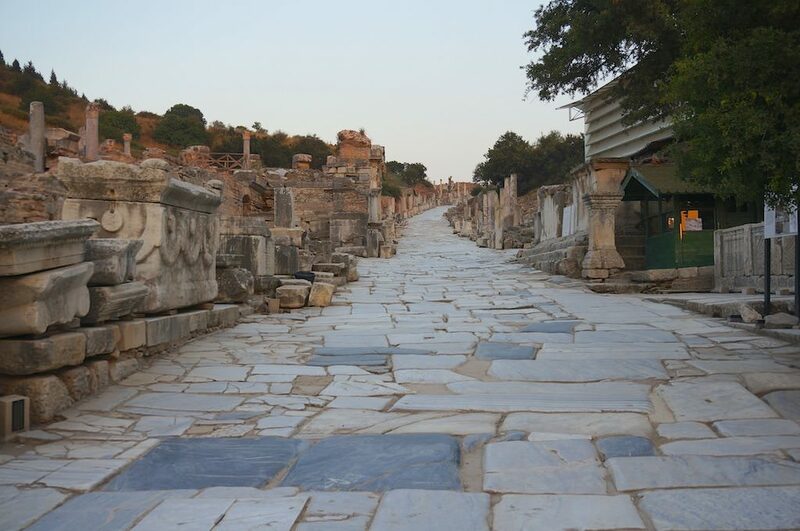 Ephesus was an important Greek trading city of Ionia. Later, it became Rome’s provincial capital and was home to one of the Seven Wonders of the Ancient World. The massive foundation of the Temple of Diana can still be seen here today after 3,000 years. In the 60s A.D., when the city supposedly had a population of nearly 150,000, St. Paul lived here for three years and wrote one of his most famous epistles, the Letter to the Ephesians. When our group arrived, we walked on a road made from marble slabs under the gorgeous amber glow of the evening sun. The setting was absolutely magical. 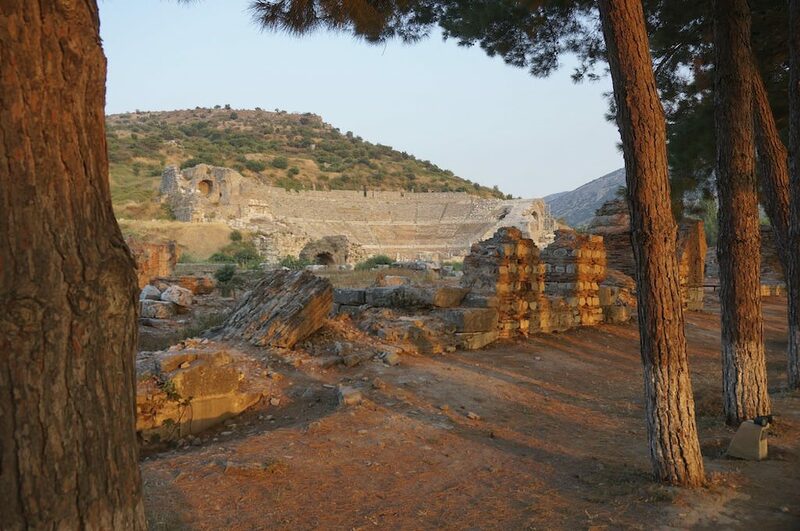 We continued, slowly and snapping photos, past the Theatre Gymnasium, built in 125 A.D. and seating 25,000. The ruins were not only expansive but also remarkable, beautiful in the evening glow. 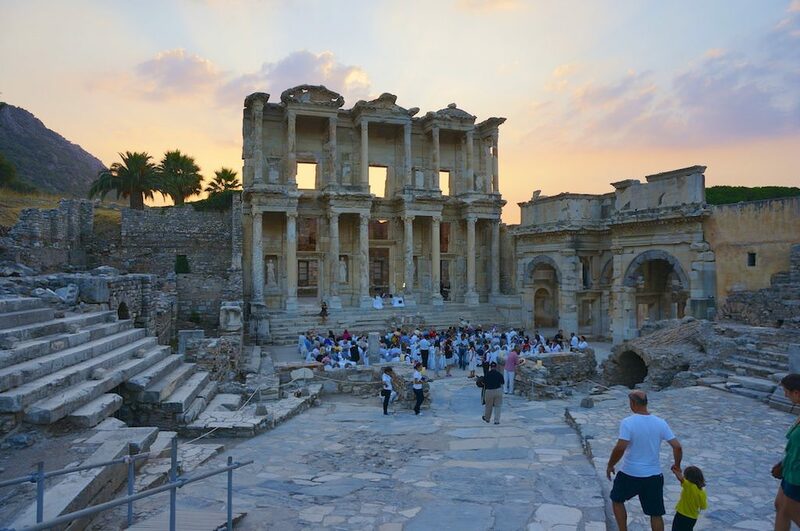 We were making our way to one of the largest libraries of the ancient world, the two-story Library of Celsus. Built in 135 B.C. by a son in homage to his father, this magnificent library is lavishly decorated with facades, columns and sculptures. The library once housed 12,000 scrolls of papyrus manuscripts, making it one of the largest in the ancient world and second only to the library in Alexandria, Egypt. The two-story library facade is stunning, particularly during the evening and with only a relatively small group. We sat in front of the facade at tables with white tablecloths and on top of those, mixed exotic nuts and olives for snacks. Waiters in white gloves, poured wine for enjoyment and water for hydration. For about an hour, the Aegean Chamber Orchestra performed Bach, Brahms, Mozart and more, punctuated by an interlude. 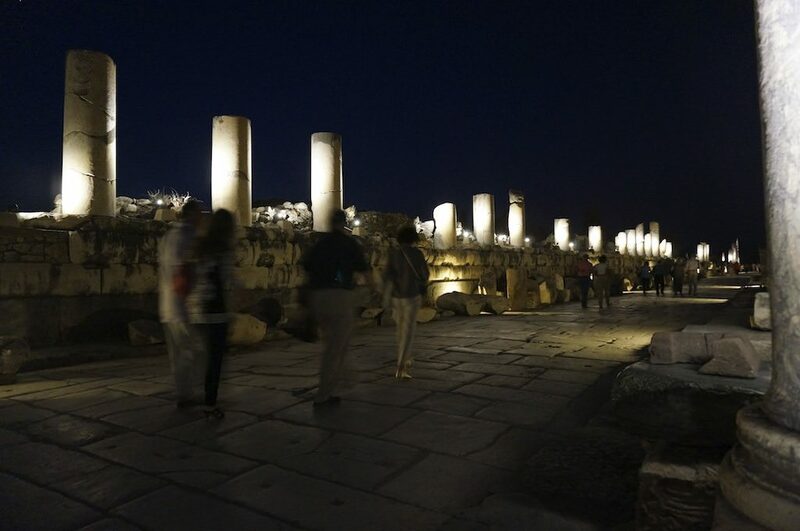 At the end of the performance, we walked a colonnaded street that was illuminated by light cast on the columns, ending a special evening at Ephesus. Back on Silver Spirit, we joined many others on the top deck to enjoy a beautiful sail-away. My son Alex and I were sailing away with memories of an unforgettable evening in ancient Ephesus, something few people in life — not to mention those whose ships depart before the sun sets — get to experience.